Watertown school administrator Allison Donovan died after being struck by a pickup truck in a hit-and-run incident in Somerville. 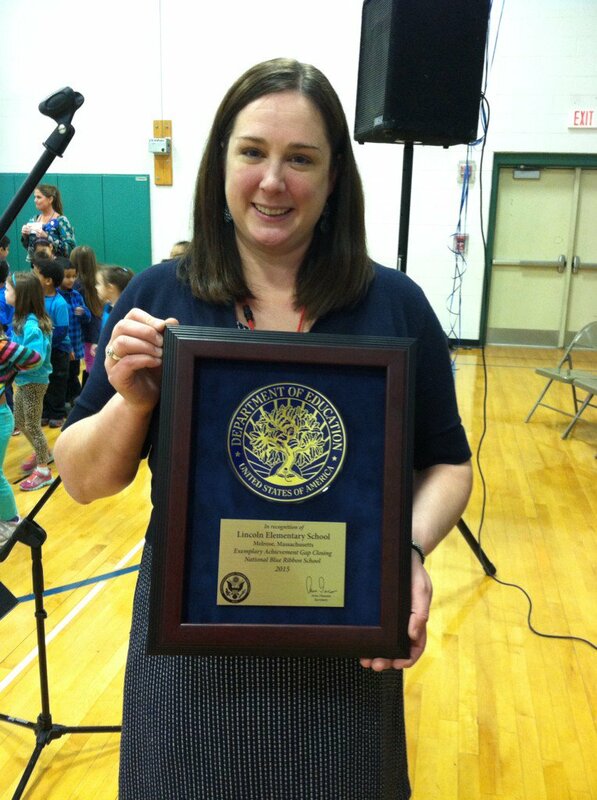 She served multiple roles in her time in Watertown, most recently as the districts’ K-8 Literacy Coordinator. The Middlesex District Attorney’s office announced that Donovan was one of two pedestrians struck in West Somerville on Friday night at approximately 7:16 p.m. She was taken to Mount Auburn Hospital, where she was pronounced dead. She was 40 years old. The second woman was discharged from hospital, according to the DA’s statement. The Watertown Public Schools released the following statement about Donovan. “It is with great sadness that we learned of the unexpected death of Allison Donovan. Ms. Donovan was a long time educator and administrator in the Watertown Public Schools who was loved by students and staff,” the statement read. “Most recently, she served in the role of K-8 Literacy and Title 1 Coordinator.She brought invaluable knowledge, insights, compassion, and dedication to the district and was passionate about providing students with the best education possible. Theresa McGuinness, Watertown’s Assistant Superintendent of Teaching, Learning & Assessment, worked with Donovan and said she touched many people. As the K-8 Literacy Coordinator, Donovan worked with teachers to build new skills, hands-on support and elevated expectations, McGuinness said. Donovan also taught in Watertown and served as interim principal at Lowell Elementary School. She left Watertown to serve as principal at Melrose’s Lincoln Elementary School from 2015 to 2017, before returning to be the K-8 Literacy Coordinator. The incident occurred at the corner of Powderhouse Square Boulevard and Harndan Road in Somerville. Somerville Police are investigating the incident and are trying to locate a newer model, full-size, black pick-up truck with front-end driver’s-side damage. The vehicle has a black cover over the bed of the truck and is possibly a Ford F-150, according to the Middlesex DA’s office. Anyone with information about the incident should call Somerville Police Department 617-625-1600 ext. 7250 or 7254. Tips may be left anonymously through text. Begin your text message with 617spd and send it to TIP411 (847411). My deepest condolences to all her family, friends and coworkers. She was truly one of my favorites among all the exceptional Hosmer teachers. My youngest had her for 2nd grade and she will be forever remembered by him. Tragic loss for her family and Watertown! Probably another Illegal Alien. HOW MANY MORE MUST DIE ? What an absolutely ignorant comment. Why wait for the facts to ruin a perfectly good hateful rant? Larry Pelletier, I am waiting for an apology. I doubt I will get one from someone as ignorant and hateful as you. Larry, I think you put your finger on it…… just like when all the French Canadians invaded New England…..
thank you for addressing this ignorance. What a foolish and hateful man Larry is. Larry might want to do a family tree….or not…. Turns out the man arrested was not an illegal immigrant. Sorry, Larry, that reality doesn’t fit your poisoned rhetoric.